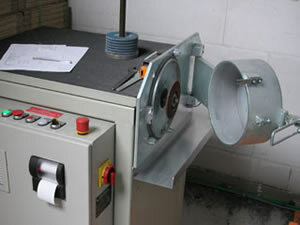 The grinding robot is used to tests our flap discs against the competition to ensure we are offering the best product at the best price. 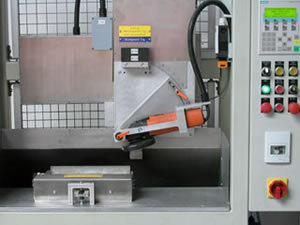 Program the robot to grind the specified flat bar at a pre-set pressure and stroke using a heavy flat stock bar. Then measure the finished weight of the flap disc and the amount of material removed from the bar.